River cruise along the picturesque villages and castles along Seine and Oise, with Paris as highlight at the end. 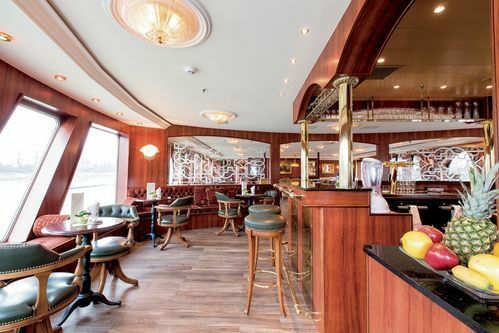 Board the MS Ruby in Paris. 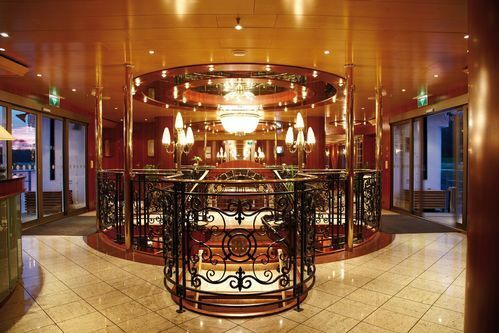 After a cocktail reception, you’ll have time to settle in to your cabin. Set off from Melun on a *coach trip to Fontainebleau castle, which was once the preferred residence of Napoleon I. The castle was declared a UNESCO World Heritage Site in 1981. In Saint-Mammès you will return on board. You can head off by *coach to the largest private castle in France: Vaux-le-Vicomte. Built in the 17th century,the castle boasts magnificent grounds which are considered a smaller predecessor to the gardens of Versailles. In the evening the ship arrives Paris and stays overnight. After breakfast, *ascend the hill up to Montmartre and discover one of the most popular and beautiful districts in the city. Wander down the romantic little streets, which were once home to artists such as Picasso and Van Gogh, and you’ll reach the Place du Tertre with its many artists. Head a few streets over to explore the shining white Sacré-Coeur Basilica. On your city tour* you’ll get to see the numerous churches and famous architecture. Take a morning *trip to Giverny by coach to see the house of Claude Monet, the famous impressionist painter. You’ll also explore the lovingly designed gardens with its water lily pond, which is featured in many of the artist’s canvas paintings. During the afternoon the *coach will continue on to the charming small town of Vernon, with its collegiate church and half-timbered houses. The ship will pick you up from here and will continue along the river in the evening. In the morning you head out on an *excursion to nearby Auvers-sur-Oise*. Located on the picturesque Oise river, the village has attracted many famous artists in the past, including Cézanne, Pissarro, Daubigny und Vincent van Gogh, whose last days were spent here. 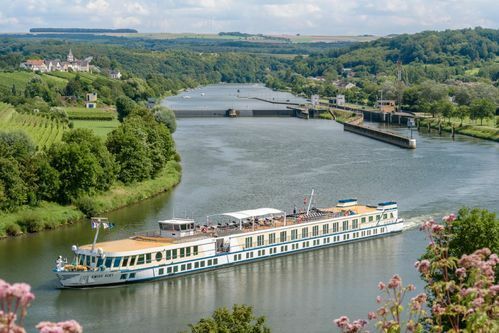 After the excursion, the ship will then set off onto the Seine towards Mantes-la-Jolie. In the morning take a sightseeing tour of Compiègne*, which is known as the place where many treaties have been signed, as well as for its many other delights. These important treaties from history include the agreement between France and Sweden following the Thirty Years War, as well as cease fire agreements after each of the World Wars. You’ll explore the beautiful old town, with its numerous nooks and corners that are steeped in history, as well as the late-Gothic style town hall, the Baroque style castle, the Saint- Jacques church (built in the 12th century) and the Théâtre Impérial. 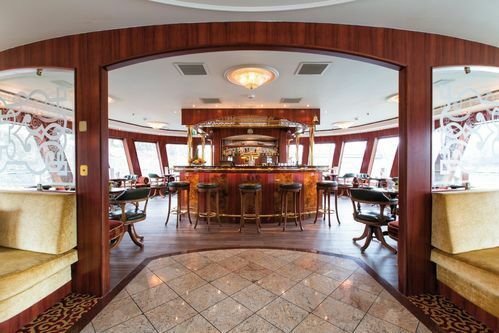 After breakfast, you’ll disembark in Compiègne. 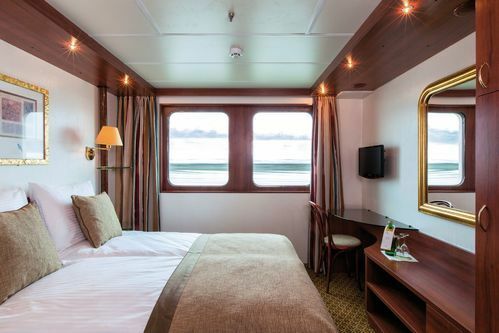 Cabins on the Emerald (lower) deck cabins have fixed windows and as you would expect of a four-star superior vessel, they are extremely well appointed, they all are outward facing with high quality fittings. Most importantly they feature hotel-style beds and a turn-down service operates during dinner. This, combined with high quality bed-linen, ensures a comfortable night’s sleep. A safe, hairdryer, flat-screen satellite TV are standard throughout and that essential – tea and coffee making facilities! The well equipped bathroom is extremely practical with a marble wash basin, fully glazed shower – not curtains, plus quality bathroom cosmetics, and of course, everything is air-conditioned. 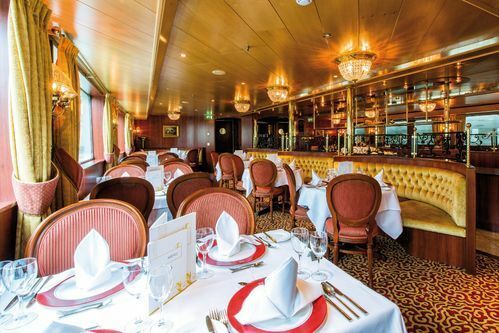 Cabins on the Ruby (upper)) deck have French Balconies with full floor to ceiling sliding glass doors and as you would expect of a four-star superior vessel, they are extremely well appointed and all are outward facing with high quality fittings. 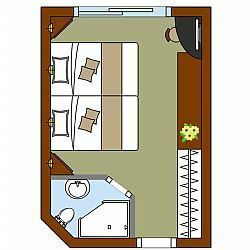 Most importantly they feature hotel-style beds and a turn-down service operates during dinner. 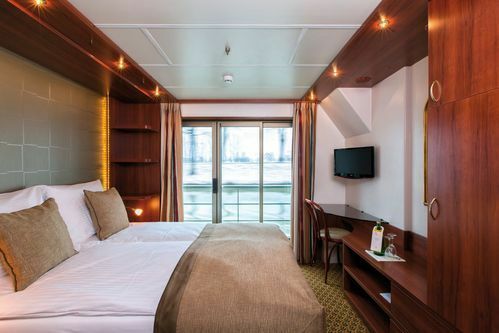 Cabins on the Ruby (upper) deck have French Balconies with full floor to ceiling sliding glass doors and as you would expect of a four-star superior vessel, they are extremely well appointed and all are outward facing with high quality fittings. 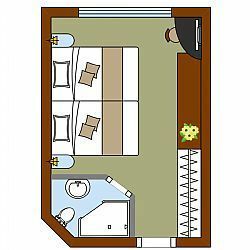 Most importantly they feature hotel-style beds and a turn-down service operates during dinner.